"Focused on minimising the risk of loss of service"
Sky has responded to suggestions that its red tape is slowing down the process of getting more channels onto the free-to-air service from Freesat. Cautious comments from Freesat's Managing Director Emma Scott in an interview with What Satellite were exacerbated by a press release from Freesat published on Joinfreesat.co.uk. But Sky has pointed out to TechRadar that a lengthy checking process is in place to ensure that having two broadcasters (and two electronic programme guides) on one transponder does not interfere with existing viewers. "Sky is working to configure a number of free-to-air channels so that they are available in both the Sky and BBC/ITV Freesat EPGs via a single satellite transponder, said a spokesperson for Sky. "This means that certain BBC/ITV Freesat data passes through Sky's network, which poses a risk for the operation of both platforms. "This risk was recognised by the BBC Trust in its approval of the BBC's participation in BBC/ITV Freesat when it stated that the BBC should take "all reasonable steps" to ensure that BBC/ITV Freesat is able to "co-exist with other digital television platforms without impairing their technical operation". "Sky is therefore focused on minimising the risk of loss of service to the many millions of households already receiving digital television via satellite. "In managing this risk, Sky and BBC/ITV Freesat have certain agreed processes and procedures in place to ensure a safe and stable environment for the roll-out of more than 200 services." This came as a direct response to a press release from Freesat that said: "Due to Sky's position in the satellite TV transmission, Freesat's services have to pass through a Sky-controlled stage. 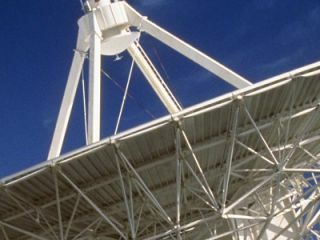 - the frequency with which they will work on each transponder. "Freesat is obliged to plan its forward launch schedule within these requirements." Inevitably the response to this release was hardly positive towards Sky, with the Joinfreesat blog saying: "One things [sic] for sure, putting all technical issues to one side, this is a good way for Sky to control the market and not allowing Freesat to gather pace too quickly." Sky's response is inevitably measured and matter of fact – but it's probably fair to assume that the company is far from delighted with people drawing the conclusion they are deliberately holding things up. What Satellite editor, Alex Lane, said: "It makes sense for Freesat to have this arrangement with Sky, but it doesn't look good to consumers who already fear that Sky controls satellite TV. The truth is that Freesat needs a good relationship with Sky, and a public row can't be good."